American DJ's Inno Spot Pro provides the essential Moving Head light show experience. 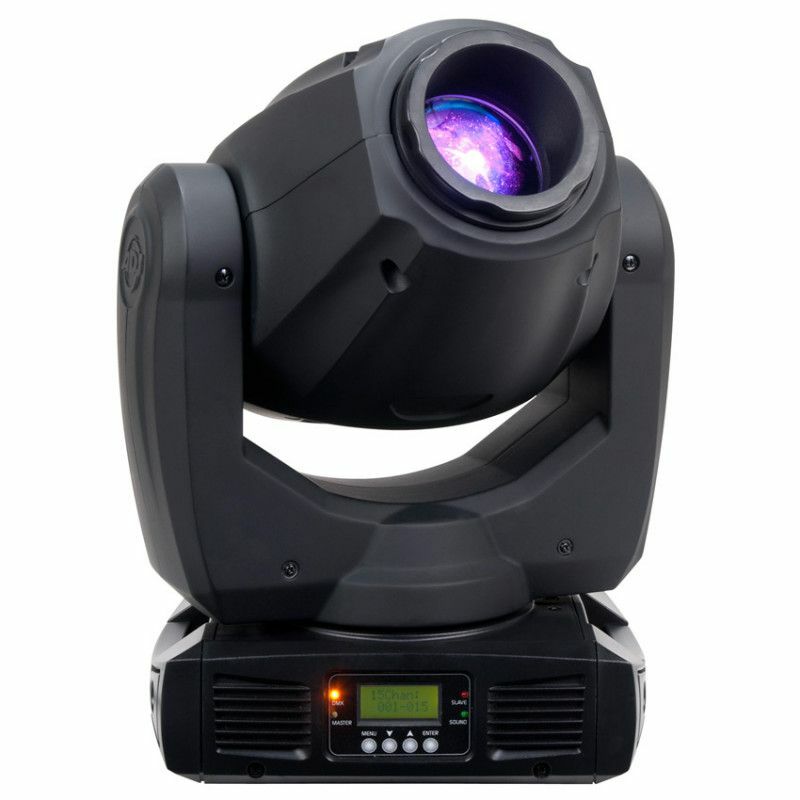 Operating in DMX-512, Sound Active, and Show Mode, it includes 4 built-in lighting shows. With the 6 rotating, replaceable gobos offering 8 colors (plus white) and extremely bright 80W LED, you'll be sure to dazzle your crowd. Bring life to your party with the Inno Spot Pro Moving Head LED entertainment system. Take it anywhere, it's small and weighs only 19 pounds so it won't be a hassle whether you're playing in town or taking it from show to show on the road. Your crowd will be wowed when you hook this baby up sound active to your music system and let it do the work or in DMX-512, or Show Mode; with its 4 built-in lighting shows you'll always have entertainment ready on the go. This fixture is also perfect for replacing your older halogen or discharge lighting effects because of the remarkably low 140W power draw. This great ADJ product has all the essential features to make your show light up the night. Keep it sharp with motorized focus, exciting with the gobo shake effect, and of course you can't have a party without a controllable pulse and strobe. To improve the experience, use the Inno Spot Pro with one of ADJ's fog machines to get the most of your LED lighting experience. From weddings to clubs to stage shows, the Inno Spot Pro from American DJ is a great addition to an essential component of any great party if you want to offer your crowd a night to remember.